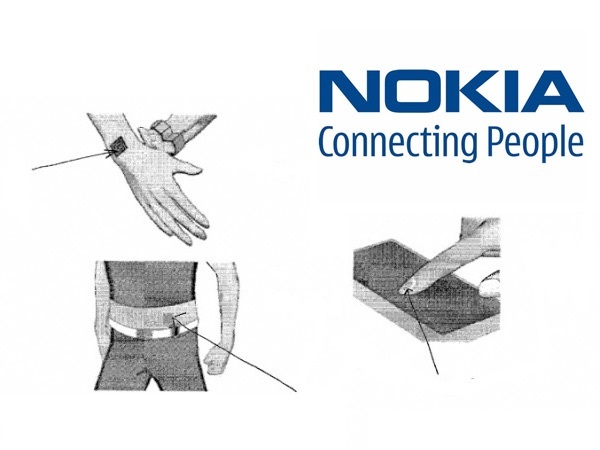 Nokia has invented a magnetic tattoo that will tingle when your cell phone rings.The technology is what's known as "haptic feedback," meaning communication via touch, as with the Nintendo Wii controller. You would get a tattoo, which, after it healed, would be magnetized. Then, when your phone rang or when you receive a text, a low-battery warning, missed call or want to be reminded of an upcoming appointment you would feel a tingling, almost like an itch, in your arm. Nokia's patent application: "Prior to using the ferromagnetic inks for attaching to human skin, the ink material may be exposed to elevated temperatures to cause demagnetization. Such demagnetized ink is then used for creating an image by dispersing the ink material on or under the skin to make a functional, tattoo like image. Once the apparatus is settled and the skin cured, the user with the functional image may use permanent magnets to magnetize the functional image on the skin again." It's not available yet the company has just submitted the patent application.